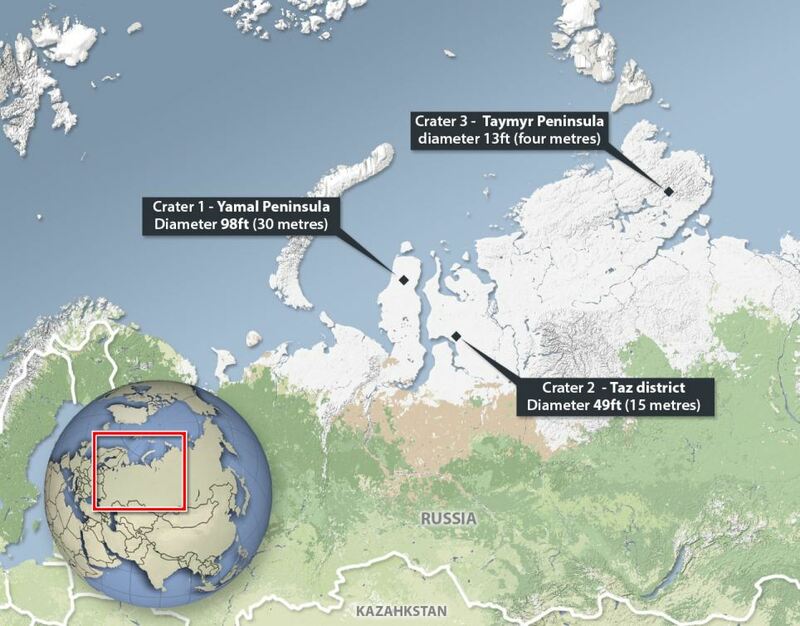 “We have just learnt that in Yakutia, new information has emerged about a giant crater one kilometre (0.6 miles) in diameter,” the deputy director of the Oil and Gas Research Institute of the Russian Academy of Sciences, Vasily Bogoyavlensky, told AFP. Sometimes, when writing a blog about the latest cutting edge climate science, you feel like you’re tracing the footprints of a Godzilla-like monster. One of Steven Pascala’s proverbial ‘climate monsters in the closet.’ This week has been filled with those days. Days when you get the sense that one might have gotten out. Just this Monday, I penned a narrative analysis of the signs of methane and carbon store destabilization in the Arctic, the various risks involved, and the potential that the methane blow holes we’ve been witnessing may be linked to giant craters previously found on the ocean floor. Craters ranging from 250 meters to seven miles across. 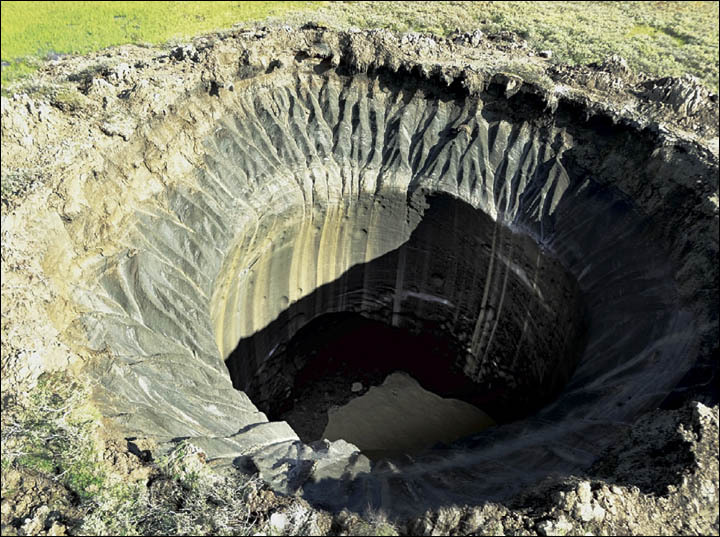 Yesterday, the deputy director of the Oil and Gas Research Institute of the Russian Academy of Sciences (RAS) issued the above statement to the Associated Press, in which he described a newly discovered 1000 meter crater in the Yakutia region. The statement was then circulated in the Guardian and at Physics.org. 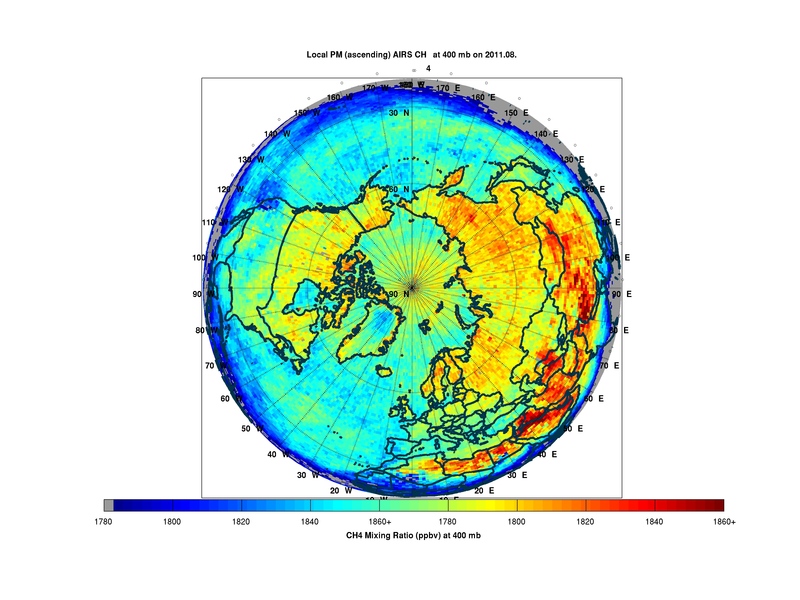 The statement was a few paragraphs down in a report that announced a likely link between climate change and the seven other methane craters discovered throughout northern Siberia over the past eight months. It provided no additional context, simply reporting a massive crater. One that, if it proves to be a confirmed recent event, could completely reshape the way we look at how thawing lands and sea beds impact sequestered methane and carbon stores in the Arctic. But there is still quite a lot we do not know about this crater, including its potential age. The first Crater, discovered in Yamal was just a bit more than 100 feet across and 220 feet in depth. Of all the craters discovered up until yesterday, it was the largest. According to reports from the Russian Academy of Sciences and from the Russian Center of Arctic Exploration, often through the Siberian Times, these craters were likely caused by explosions of methane under high pressure through a top layer of melting permafrost. The reports identified destabilized relic methane hydrate as a likely source of the eruptions, which the scientists are now stating are somewhat similar to volcanic explosions. The new crater is said to be located in a region of Yakutia, which is a Siberian province many hundreds of miles east of the Yamal Crater. Yakutia hosts some of the densest permafrost deposits in the Arctic. It has also experienced extraordinarily rapid warming similar to the Yamal increase of 2 degrees Celsius in just 14 years. Over coming years, the pace of warming is predicted to be equally rapid. Climate models for the region indicate as much as 8 degrees Celsius warming through the end of this Century. The result is that we see Yakutia, as much of Siberia, in a state of very rapid and destabilizing climate change. Stresses to permafrost due to this raging rate of warming are extraordinary and involve not only permafrost melt and subsidence but also horrific wildfires that individually burn hundreds of square miles. These enormous wildfires are not normal, garden variety infernos. 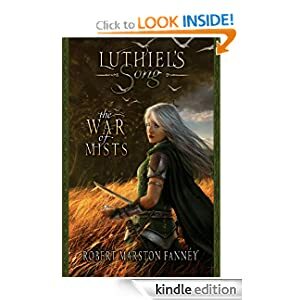 They often alter the weather, forming enormous fire thunderstorms overhead. They have been reported to burn so hot as to ignite the soil itself, incinerating everything to at least three feet of depth. 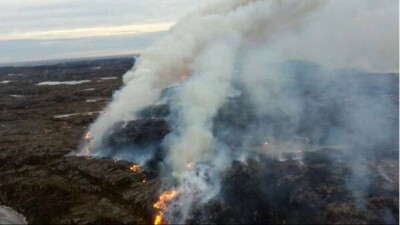 Near surface methane pockets also likely become involved in these fires and the peat-like structure of the permafrost, once thawed, can result in continued basement smoldering long after the surface fire is extinguished. 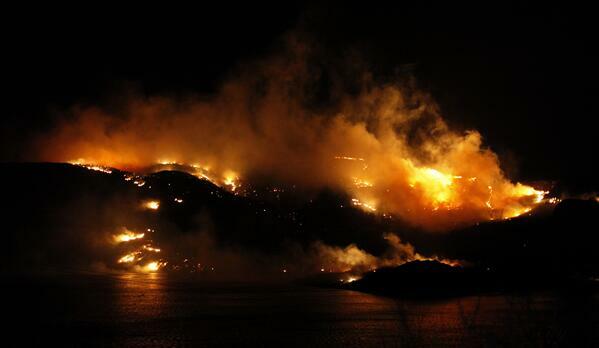 These massive, fearsome fires are anything but normal. They are directly linked to the rate of warming, permafrost thaw, and carbon store release in Arctic Siberia. 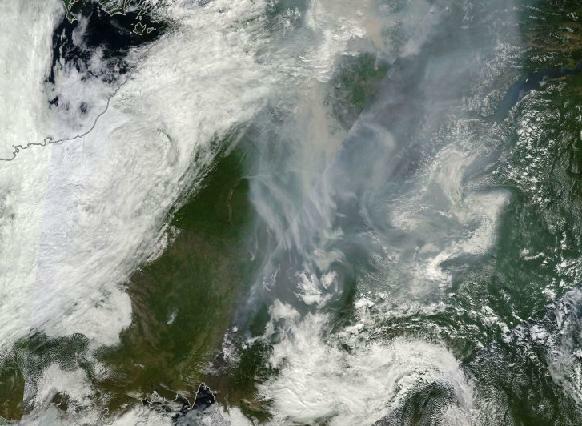 And it appears that for Yakutia, which has seen some of the worst of these fires, a rather large scale methane eruption risk — enough to produce 1000 meter craters — may also now be involved as well. NASA GISS, likely the world’s premier Earth atmospheric monitoring agency has dubbed CO2 “The Thermostat that Control’s Earth’s Temperature.” So when human fossil fuel emissions keep cranking that thermostat ever higher, it’s important sit up and take note. For, inexorably, we keep forcing atmospheric values of this critical heat-trapping gas up and up. 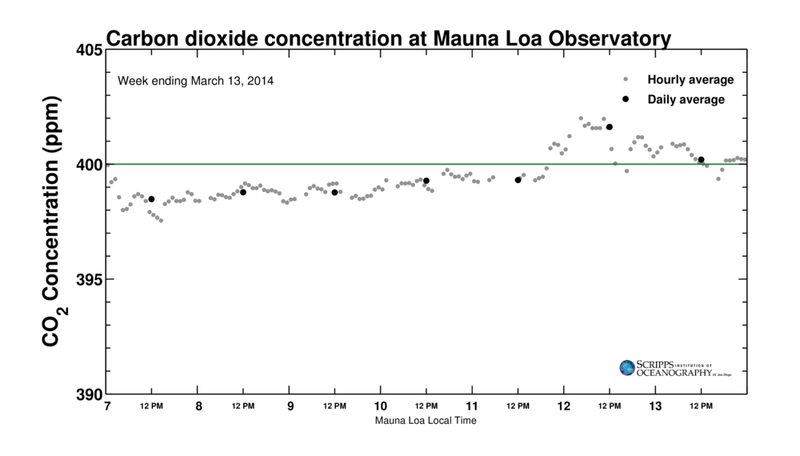 According to reports from The Mauna Loa Observatory and The Keeling Curve, daily CO2 values for March 12 rocketed to a record 401.6 parts per million. Hourly values rose briefly higher, touching 402 parts per million. 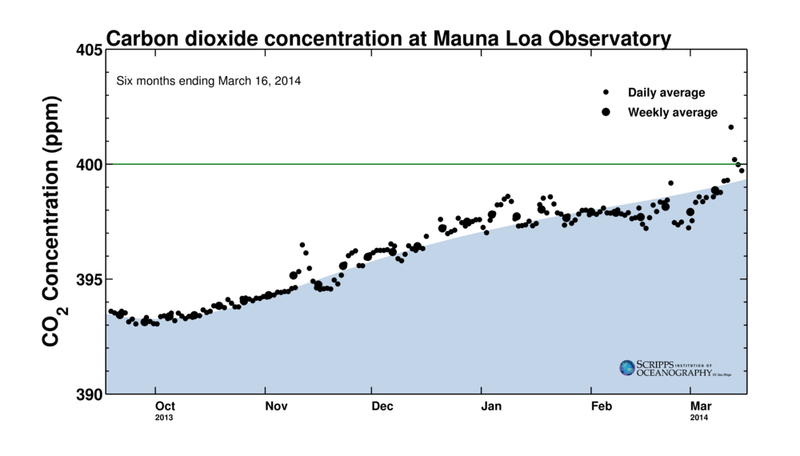 Levels fell back to around 400 ppm on March 13. But the overall trend will continue upward through March, April and much of May when the height of annual atmospheric CO2 readings is typically reached. By comparison, during May of last year, daily and weekly values hit just slightly higher than 400 parts per million while measures for the month hovered just below this number. We are now about two months away from the 2014 peak. So it appears possible that daily values could rise to 404 ppm or greater with highs for the month potentially exceeding 402 ppm (you can view a comparison graph for May 2013 here). Such high levels of this gas have not been seen on Earth in over 3 million years. A time when temperatures were 2-3 degrees Celsius warmer and sea levels were 15-75 feet higher than today. And should CO2 levels merely remain at the level currently achieved, we can probably expect at least the same amount of warming long-term. Annually, the average rate of CO2 increase now is an extraordinary 2.2 parts per million each year. This rate is about 6-7 times faster than at any time in geological history. None of the vast flood basalts of the ancient past, no period of natural vulcanism, can now rival the constant and massive injection of this powerful and long-lasting greenhouse gas by humans into the atmosphere. Last year, the rate of increase spiked to around 2.5 parts per million and we can view this as mere prelude under a continuation of business as usual. For if human fossil fuel emissions are not radically brought into check, the ongoing economic inertia of existing fossil fuel based infrastructure and planned new projects will likely shove this rate of increase to 3, 4 even 7 parts per million each year by the end of this century. As a result, CO2 levels alone have the potential to reach catastrophic values of 550 parts per million by around 2050-2060 that, long term and without any of the added effects of other greenhouse gasses, would be enough to eventually melt all the ice on Earth and raise global temperatures to around 5-6 degrees Celsius above current levels. A level that, through acidification alone and not including damage through stratification and anoxia, could drive up to 1/3 of ocean species to extinction. Because carbon dioxide accounts for 80% of the non-condensing GHG forcing in the current climate atmosphere, atmospheric carbon dioxide therefore qualifies as the principal control knob that governs the temperature of Earth. 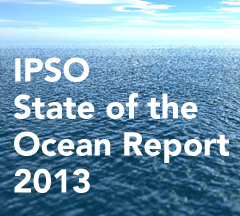 All other greenhouse gasses pale in comparison to both its total effect and its current rate of increase. Methane, the next most potent greenhouse gas, accounts for about 15% of the forcing and is rising at a rate of 4 parts per billion (1/550 that of CO2), generating a net effect equal to, in the worst case, an additional .4 parts per million CO2 each year (.29 when aerosols drop out). A troubling and dangerous increase itself. But still a mere shadow compared to the overall rate of CO2 increase. Only in the most catastrophic of scenarios, when added atmospheric heat, primarily generated through added CO2 and other greenhouse gas forcing, triggers methane emissions equal to 2 gigatons each year in the Arctic (a rate 25 times the current release), would the total methane forcing approach the predicted value for CO2 by the end of this century under current fossil fuel emissions scenarios. More likely, paleoclimate scenarios tend to suggest that the natural methane feedback, long-term, is roughly equal to 50% of the CO2 forcing and is largely governed by it. A dangerous amplifying feedback driven by a devastating and long-lasting CO2 forcing. CO2 is also the longest lived of the major greenhouse gasses with one molecule of CO2 providing effective atmospheric warming for at least 500 years. By comparison, the oxidation time for a single molecule of methane is around 8 years. What this means is that it takes an ever increasing methane emission just to keep values constant while atmospheric CO2 takes much longer to level off given even a constant rate of emission. The result is that heat forcing from CO2 tends to remain constant over long periods while methane heat forcing values have a tendency to spike due to rapid oxidation. Current rates of CO2 increase, therefore, should be viewed as catastrophic to climates that are both livable and benevolent to humans. A rate of increase that puts at risk severe changes to Earth environments and which provides a trigger for setting off a series of powerful amplifying feedbacks through the medium and long term. These include both loss of ice albedo and the potential for spiking methane emissions from the widespread natural store. Most recent daily values from March 12 onward in relationship to the six month trend. Note the sharp spike upward at the end of the period as well as the overall volatility of the trend line. High volatility may well be an indication that the typical carbon cycle is suffering disruption with sinks, stores and sources experiencing larger than typical fluxes. August 4-7 saw a large and growing pulse of methane emerging from the Yedoma region of Russia and the Siberian Arctic over the past week. By Wednesday, about 30 percent of the Yedoma region was covered in methane readings exceeding 1950 parts per billion, according to measurements published through the online resource — Methane Tracker. This pulse emerged in conjuction with late summer fires and heatwaves scorching this massive region of permafrost above or near the Arctic Circle. 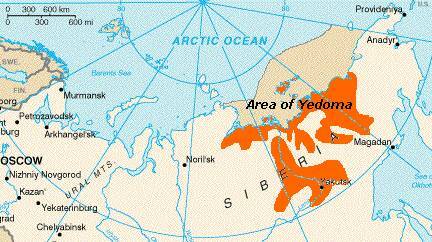 Yedoma includes a broad expanse of permafrost ranging from Siberia to a shallow sea known as the East Siberian Arctic Shelf. In total, this region is estimated to hold 500 gigatons of carbon locked in, now thawing, tundra. The region has come under increased scrutiny and study during recent years as temperatures throughout the Arctic and especially in this area have rapidly risen due to human warming. While global temperatures have increased by an average of around .2 degrees Celsius per decade, temperatures in Yedoma have increased by more than twice that rate at a whopping .5 degrees Celsius per decade. As a result, most of the tundra, both land and shallow sea, is subjected to increasing heat forcing and is at greater risk of releasing large volumes of carbon into the atmosphere. Yedoma Map with loess deposits. Originally, it was estimated that Yedoma released about 4 megatons of carbon each year. Instead, recent expeditions have found that the region releases a staggering 44 megatons of CO2 and an estimated 4 megatons of methane. The CO2 emission alone is greater than that pumped out by 1 million automobiles and, since methane is so powerful a greenhouse gas, the forcing provided by the 4 megaton methane emission is nearly twice that. 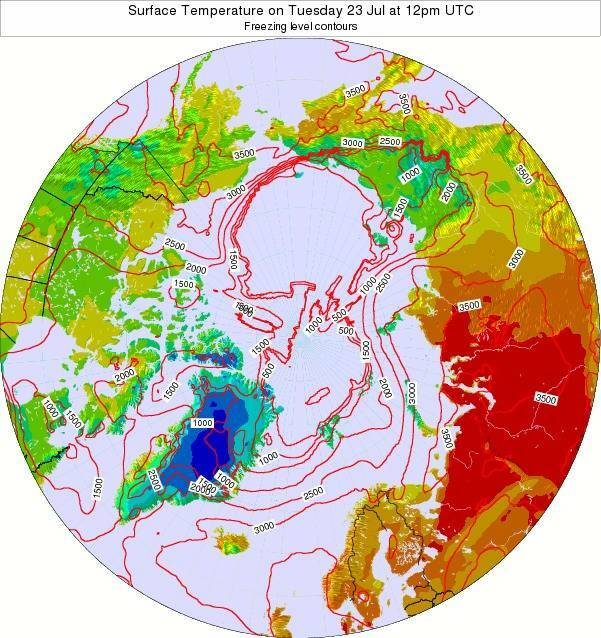 Recent studies conducted by N. Shakhova have estimated that as much as 50 gigatons of the methane locked in the East Siberian Arctic Shelf could rapidly destabilize and emit over a brief period of 1-50 years. The Shakhova paper is refuted by another scientific paper produced by C. Ruppel who claims that the global .2 degree Celsius temperature increase each decade is not enough forcing for a rapid release. Peter Wadhams, who produced a recent article for Nature, refutes these findings noting that temperatures in the Arctic are warming faster than the global average and that sea ice losses can result in very strong, if briefer, temperature spikes during summer months that provide a powerful forcing to the sub-sea methane. Wadhams observations are refuted by other scientists — notably Gavin Schmidt and David Archer, who favor a slow release scenario based on what they have seen in various climate models. In context to this scientific argument is the well supported theory that methane release contributed to rapid warming during past global heating events such as the PETM and the Permian-Triassic. 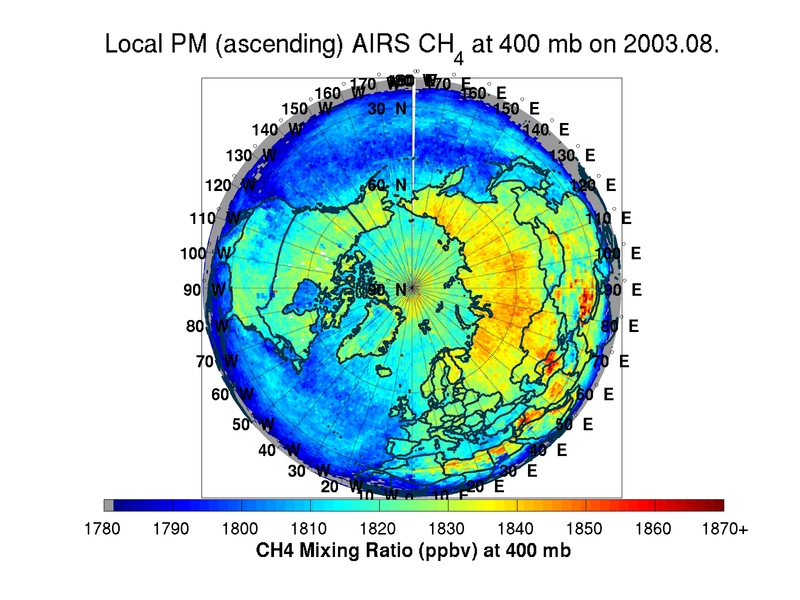 Nevertheless, we have seen a rising methane emission from the Arctic over the past decade. These increases are not indicative of the extraordinarily rapid release Shakhova has warned is possible. But they are still rapid enough to raise local methane levels by a rate of 5-10 parts per billion each year — nearly twice the global rate of increase. What this rate shows is that Arctic methane emissions are occurring at a faster pace and at relatively higher volumes than those in the rest of the world. The Yedoma spike chronicled above by Methane Tracker is a troubling, though not catastrophic, occurrence. It appears during a time when high temperatures and wildfires are affecting a large region of Yedoma where we see the methane pulse. It is possible that methane seeping up through the tundra from anaerobic pockets where methane-producing bacteria can thrive are venting into the atmosphere as the tundra thaws. During times of high heat forcing, such as periods of late summer at times when human warming has induced more and more Arctic heatwaves, higher volumes of this methane are at risk of venting into the atmosphere. In some places, the methane concentrations are high enough to ignite in fires, as we have seen in numerous melt ponds across the Arctic. In the presence of wildfires driven by Arctic heatwaves, a high rate of methane emission creates a volatile additive to an already anomalous situation. Whether or not catastrophic methane spikes of the kind Shakhova and Wadhams warn of will result from human forcing, it is likely that methane and related CO2 emissions will continue to increase throughout the Arctic and at rates far faster than is correlated in the climate record over the past 800,000 years. The carbon store there is vast, and the rate of forcing increase is far faster than at any time in the geological record. For reference, it took about 8,000 years for the Earth to warm out of the last ice age. Temperature increases averaged at a rate of .006 degrees Celsius per decade during this time. The current rate of human-cased warming is more than 30 times that. Yet even with this very slow level of forcing we find atmospheric CO2 and methane levels rising significantly over the ice age to interglacial transition period — with CO2 rising by 100 ppm and methane rising by 300 ppb. The fact that even such slow forcings can result in such significant responses should serve as a warning when we consider the current, very rapid human temperature forcing. A related, more rapid, Earth Systems methane feedback could quickly overwhelm sinks and provide a much higher relative atmospheric methane level. Meanwhile, as we consider this, very valid, concern, we observe significant and rising methane emissions from the Arctic’s most vulnerable stores. Given these two very valid concerns, it is both prudent and rational to identify rising methane emissions as a current and growing threat. Scientific Debate Over Arctic Methane Release Emerges: Long Tail Or Large Pulse? Over the past few years, we have seen a number of conflicting scientific reports analyzing the amplifying methane release currently underway in the Arctic. Since this field of study is relatively new, it has been difficult to develop a consensus between the various studies and observations. But now, a distinct set of camps is beginning to emerge. With the recent publication of a report headed by Katey Anthony, a scientific view has crystalized around the notion that Arctic methane release will be gradual, linear, and result in a long tail of amplification to human caused global warming over the time-scale of decades to centuries. This view, headed by David Archer at the climate blog Realclimate, has formed one side of the Arctic Methane debate among scientists. 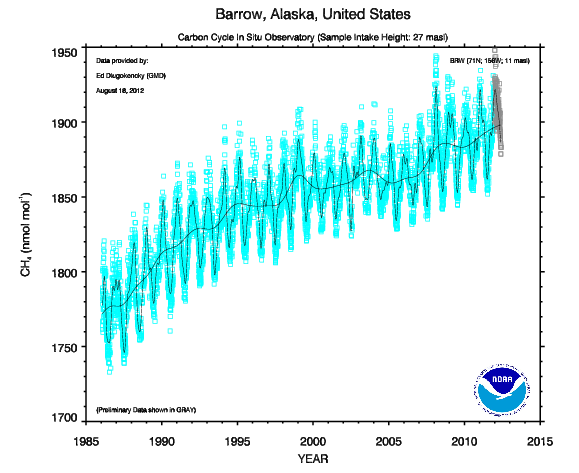 The result, according to Archer, would be a long-term increase in atmospheric carbon. Anthony’s study focused on methane seeps at the edge of glaciers and at the boundaries of Arctic permafrost thaw. The primary region of study was Alaska, with some secondary research occurring in Greenland. Given this focus, Anthony found that methane emissions from these sources in the Arctic were double that expected by scientists. Anthony also found that methane emission was most rapid at the leading edge of glacial melt and rapidly tapered off after melting ceased. The result was that the findings showed that rate of methane release, from glaciers and permafrost at least, is directly tied to the overall rate of melt. So, in the context of this study, your view of the potential for methane release depends the pace of glacial and permafrost thaw. 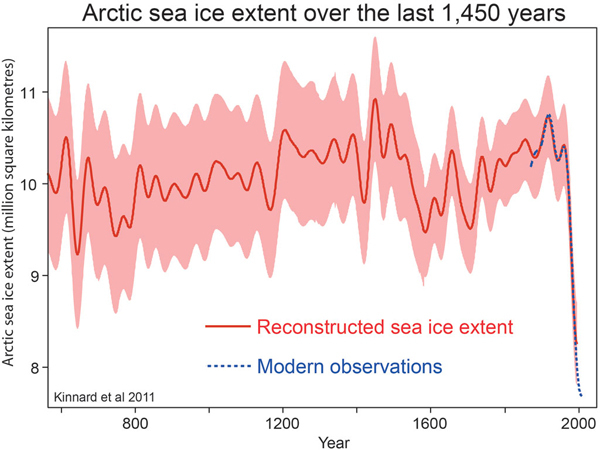 Analysis of Anthony’s paper by David Archer led him to conclude that: “the general response time of the system is slow, decades to centuries, rather than potentially poised to release a huge pulse of methane within a few years.” This conclusion is consistent with Archer’s view of a relatively gradual and linear melt down in the Arctic glacier and permafrost system. His scientific view, thus far, has been for a gradual contribution of Arctic carbon to the climate system with the ultimate deposition of a substantial portion of the 1200+ gigatons of Arctic carbon into the atmosphere over the relative long-term. Overall, this is not an entirely optimistic view. It is instead the argument for slowly amplifying Arctic methane emissions rather than large pulse emissions. The result being that the Arctic contributes a ‘long tail’ of amplification to an already worsening climate picture. 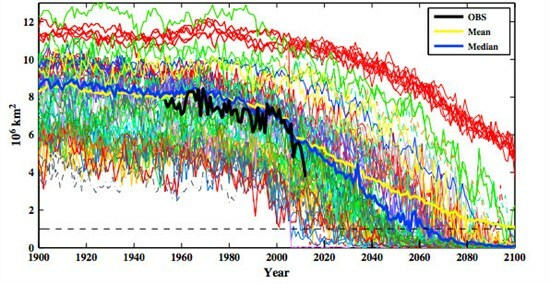 Under Archer’s model, there is more time to change, but the end results of long-term human greenhouse gas emissions are the same. Unfortunately, there are reasons to doubt some of the premises for Archer’s view. As already noted, Archer implies that glacial and tundra melt will be gradual. Archer also seems to imply that releases from hydrates will also be gradual and not necessarily breach the sea surface. But rates of tundra and glacial melt are already amplifying. Meanwhile, observations from some regions of the Arctic already imply increases in the volume of methane reaching the air with the largest methane emissions structures seen on the East Siberian Arctic Shelf. Some of these massive structures measured more than a kilometer across. And while there is some argument as to whether these large methane structures are new or have existed over long periods of time, we have seen satellite data that show an increasing Arctic methane emission over the past 9 years. 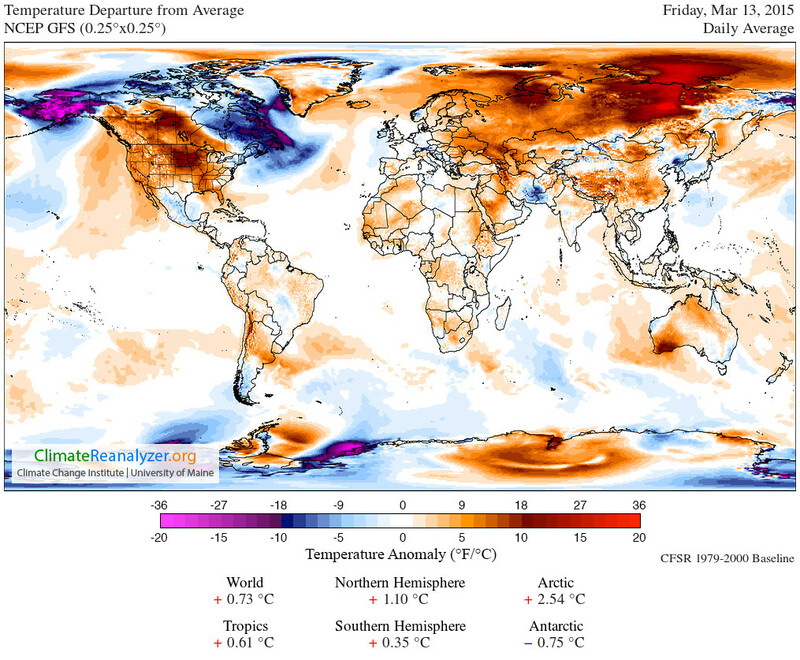 Heating in the Arctic has been very rapid. 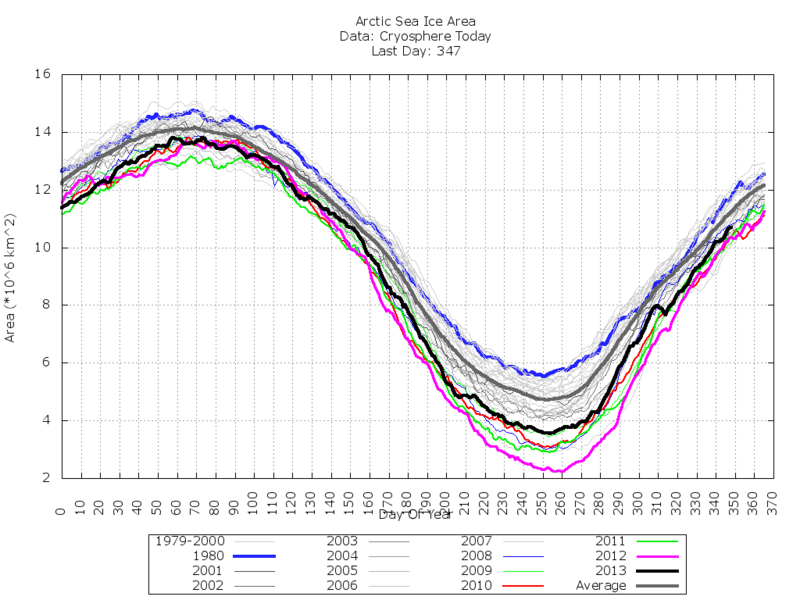 And we have already seen nonlinear melt in the Arctic sea ice. Overall, the context of these conditions is for a very energetic Arctic environment. One that pushes toward non-linear melt, not for a gradual loss of the icy methane cap. 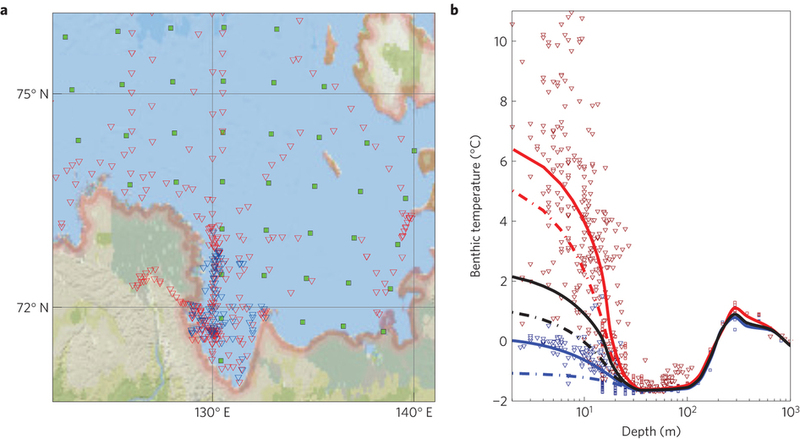 The result of these forces have caused some scientists, including Shakhova, to estimate that it is possible for large methane pulses to form in the Arctic during rapid periods of melt and heating. These pulses, Shakhova notes, could be as large as 50 gigatons and could occur during relatively short time-frames. Since the current atmospheric concentration of methane is only 5 gigatons, and since methane is at least 25 times as potent a greenhouse gas as carbon dioxide, a 50 gigaton pulse would have serious impacts for amplifying the already powerful forcing of human-caused warming. The fact that non-linear responses to global warming have already been established in the recent history of Arctic melt would seem to point to a not insignificant potential for Shakhova’s view bearing out. However, this does not mean that Archer paints a rosey picture either. The two views represent a range of possibilities for Arctic melt and methane release from ratcheting long-term harm, to potential devastating releases in the relative near term — years to decades rather than decades to centuries. Outside of climate change denial, this is the debate we should currently be having about the impacts of human climate change to the Arctic ice-methane system. And this debate, between bad and worse potentials, draws a dramatic line under the need for rapid human carbon emission reductions now. For the near-term, years to decades, let us hope that Archer is correct and there is more time for the slow-moving human system to respond to the rather dangerous changes we’re already causing to our climate. Satellite observations from the University of Maryland are showing strong increases in Arctic methane concentration between August 2011 and August 2012. In our first monthly assessment of these differences, we will analyze their strength as well as the possible implications for Arctic and global warming scenarios. This sequence shows that average methane levels around the Arctic for the month of August have increased by about 10 parts per billion (ppb) since last year and 20 ppb since the record began in 2008. Values for much of the Arctic in August have ranged between 1840 and 1860 ppb this year as compared to 1830 to 1850 ppb last year and 1820 to 1840 ppb in 2003. 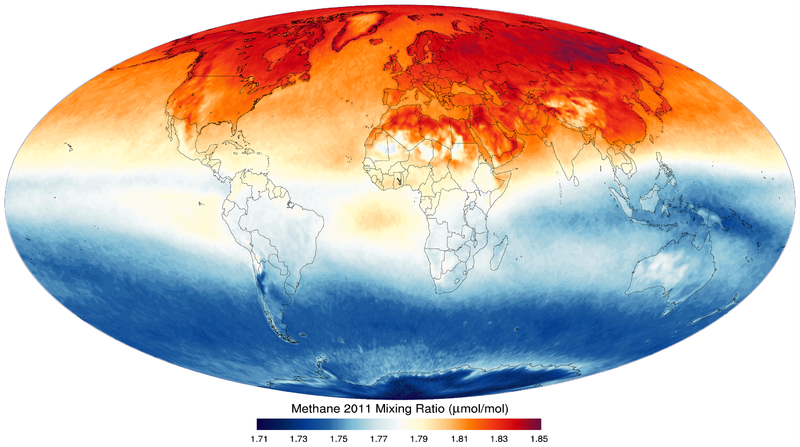 The highest concentrations of methane were found in Siberia and extreme northern Europe with Alaska, Canada, and points in the Arctic Ocean showing elevated levels as well. As we can see from these satellite observations, the trend since August of 2003 has been for increasing methane concentrations in the Arctic. 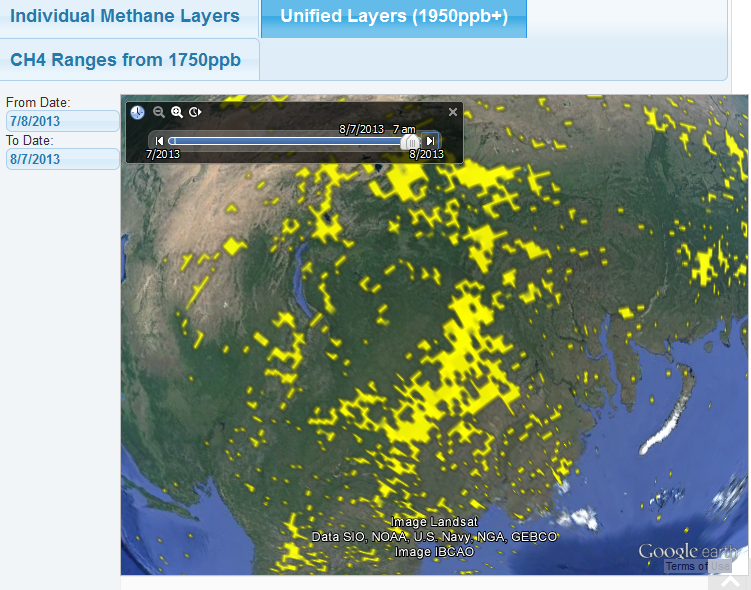 Methane is much more potent a greenhouse gas than CO2. So this methane increase in the Arctic is adding heating on top of an already increasing CO2 forcing. And though the amount of additional methane for the month of August does not approach the additional forcing of human CO2 emissions, the rate of increase has jumped by an order of magnitude. The result is that the extra methane forcing from 2011 to 2012 in the Arctic environment is equal to about .25 to 1 ppm CO2, adding between 12% and 50% on top of the CO2 increase in the same period. It is worth noting that most of this increase is local to the Arctic environment, so the effect on overall global warming would be less. But, perhaps, of greatest concern is the fact that the increase in one year — from 2011 to 2012, is equivalent to the entire increase of the eight years spanning 2003-2011. Any similar jump would result in an increase in the methane forcing to possibly exceed the rate of increase in the CO2 forcing. Adding such an effect to loss of reflectivity due to sea ice and snow cover melt would result in greatly increased Arctic heating along with a number of worsening extreme weather and glacial melting effects far exceeding the impacts we see today. The primary driver of Arctic methane release is a warming climate caused by human greenhouse gas emissions. As ice melts, methane is released from Arctic tundra and soils frozen for thousands, tens of thousands and, sometimes, millions of years. In addition, as seas warm, methane hydrates destabilize and bubble up from the sea bed. Heating is also amplified as the ice sheets retreat, resulting in a loss of albedo, or reflectivity. Dark seas and darker land masses absorb more of the sun’s radiation, causing more warming in turn. The effect returns again to do work liberating more methane and CO2 which again results in more heat. This is a powerful feedback loop that is enhancing warming in the Arctic while adding more greenhouse gasses to Earth’s atmosphere. 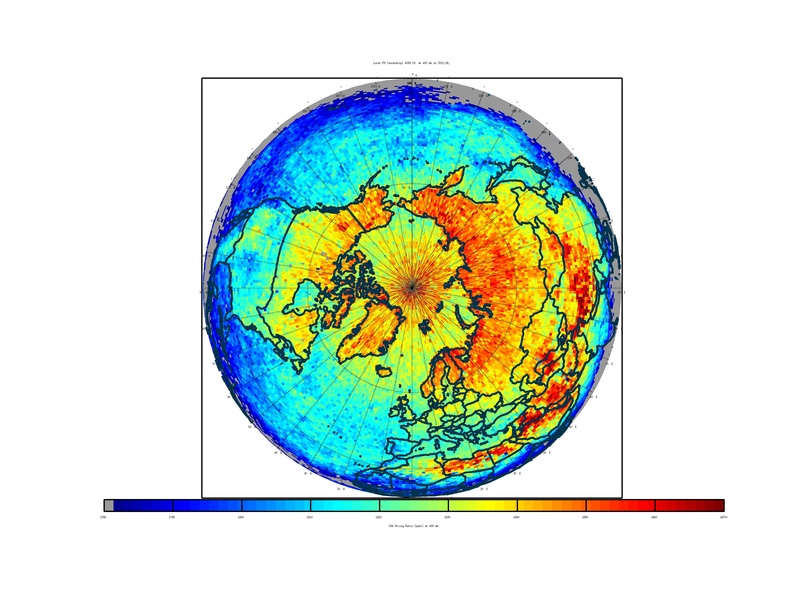 The above methane data, provided by the University of Maryland, provides us with one more way of measuring the heat amplification going on in the Arctic. Learn more about amplifying feedbacks in the Arctic here. We are getting ourselves into a rather severe fix. Arctic sea ice is melting at a very rapid rate and changes are happening to the Arctic environment at a pace much faster than that expected by many scientists. These observable changes to the world’s climate were predicted. It is just the rate at which they are happening which is so startling. The most conservative, early, predictions estimated sea ice would average around 8 million square kilometers by the end of the melt season in 2012. Even the later, more aggressive, models showed an average of about 5.5 million square kilometers by this year. In the record, according to the Japanese Space Agency (JAXA), we are currently sitting at less than 4 million square kilometers of sea ice — with more than two weeks still remaining in the melt season. This is twice the average melt predicted as near back as a year ago. And the current model predictions are still woefully behind. This lagging of prediction behind the pace of change is a simple underestimation, by mainstream climate scientists, of how sensitive the Earth is to the force of human greenhouse gas emissions. It is also a broader failure of society to encourage scientists to do the work necessary to protect the long-term interests of our civilizations. Instead, we have allowed monied interests to engage in vicious, politically-driven attacks on the scientists who should be the watch-dogs against the harm caused by human global warming. In short, based on current observations, the climate system in the Arctic appears to be extremely sensitive to the human greenhouse forcing. And, as such, it is rapidly changing, altering in ways that will further worsen the already serious impact of human-caused climate change. This foreseen impact could have been prevented had we received a more immediate and widely trumpeted warning, had we gathered the political will to act, and had the monied interests not decided to wage a war on the future for a few temporary and transient gains. Instead, we are now injected into a world where constant change is becoming the norm. Instead, we must fend off powerful, entrenched interests in order to have an inkling of hope to prevent the worst impacts even as we expect strong impacts for some time to come. 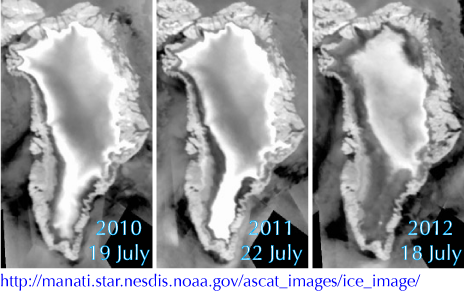 The first impact of drastically smaller sea ice coverage is a loss of reflectivity or albedo. The sun is almost always in the Arctic sky during the summer months. This 24-hour shine beams down on all surfaces of the Arctic. And the darker surface of water absorbs much more of that solar energy than the white, reflective surfaces of an ice sheet. Research has found that water is, on average, five degrees Celsius hotter under open ocean than under the white, reflective covering of an ice sheet. As more and more areas open up, they absorb more and more of the sun’s energy creating a much hotter Arctic environment. And, currently, we have about half the ice cover we enjoyed during the 1980s. 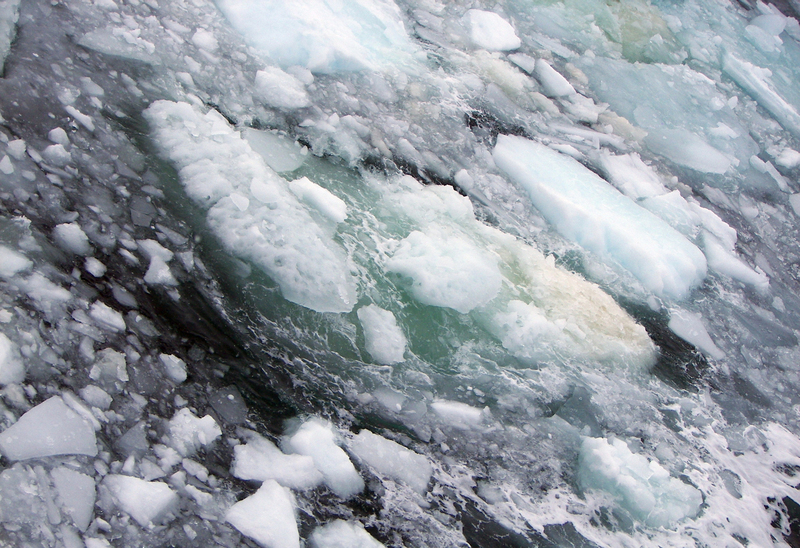 As the Arctic Ocean warms, more air is warmed above the waters. These hotter airs then blow over land, warming it as well. 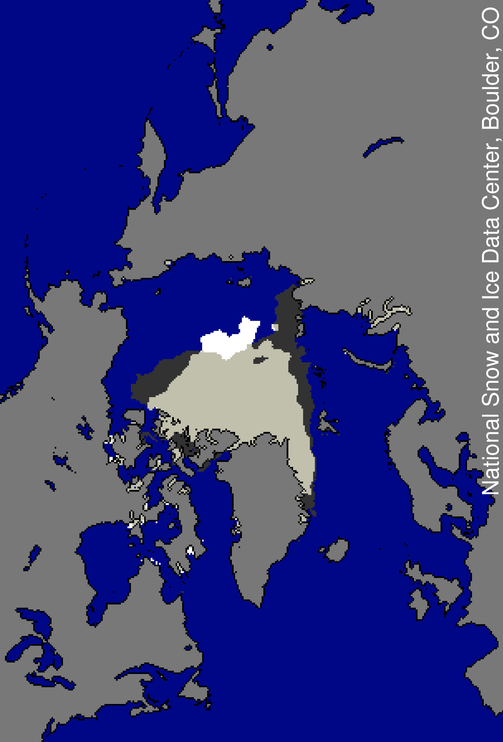 The result is that snow cover in the high Arctic is reduced. 2012 saw the lowest level of snow cover on record. Snow produces an effect similar to that of Arctic sea ice. It reflects the sun’s rays resulting in much cooler temperatures in regions of high snow cover. It also keeps the ground beneath it much colder. And ground beneath snows in the Arctic tend to be methane-trapping permafrost. Land without snow cover is also darker than snow. So areas where high snow melt occurs will heat faster, having higher than average temperatures and breaking down the permafrost layer beneath. 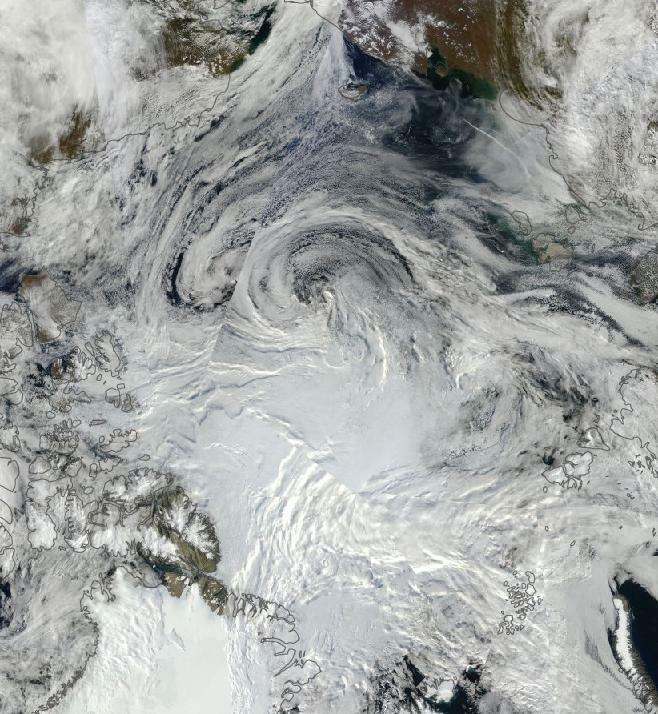 Recent research has found that the change in wind patterns brought about by melting sea ice and a warmer Arctic drastically alter the Jet Stream. The result is a tendency of the Jet Stream to travel in larger waves from north to south. In addition to creating ‘blocking patterns’ in the mid latitudes, these elongated atmospheric waves dig deeper into the temperate zones, sometimes touching the tropics. 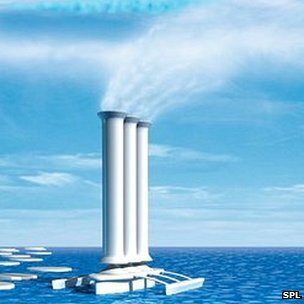 And when they do they create a powerful transport mechanism for moving hot air into the Arctic. The result is an even greater degree of amplification in Arctic heating. All this new hot air swirling about in the Arctic drastically increases the rate of melting both in the sea ice and on land. Eventually, the heat sinks into the soil where it does work melting permafrost. All around the Arctic circle we have seen the effects of melting permafrost. 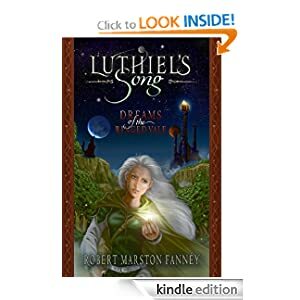 Structures have crumbled as the soil beneath becomes softer. 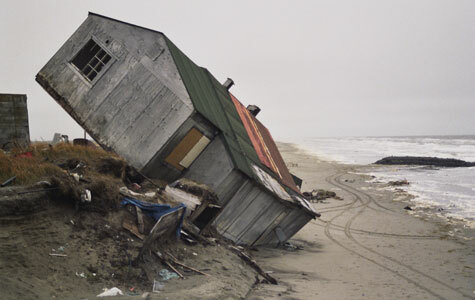 Coastlines, once hard as stone, are now just mud and are eaten away by a freshly churning Arctic sea. Throughout the wild Arctic, permafrost melt lakes have formed and these lakes seep high volumes of methane. The added methane throughout the Arctic increases fire hazards. High concentrations of methane are very flammable and may combust due to a lightning strike or as a result of the spontaneous heating of a balmy day. And throughout the Arctic we have seen a drastic increase in the rate of fires. 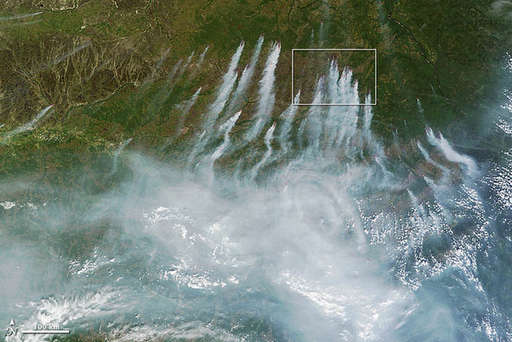 Just this year, Siberia saw massive blazes devour miles and miles of tundra and Arctic wilderness. A vast amount of carbon is stored in the Arctic permafrost as well as in the forests and tundras above. A National Snow and Ice Data Center study conducted in 2008 found that from 1400-1700 gigatons of carbon were locked in frozen soils worldwide and that much of these soils were in the Arctic. NSIDC estimates that warming could result in carbon releases from Arctic soil equal to 15-35 percent of human greenhouse gas emissions. In 2011, China emitted about 29% of the world’s greenhouse gasses. The human forcing in the Arctic could, in the case of frozen permafrost alone, add another China worth of greenhouse gasses emitted into the atmosphere every year. Yet a large portion of this carbon emission would come from methane. And methane is a greenhouse gas 20 times more potent than CO2. So even if a third of this added emission were methane, it could easily double the human forcing. Sadly, the permafrost, soils, and forests in the Arctic aren’t the only source of methane in the region. Large deposits of a substance called clathrates or methane hydrates rest upon or just beneath the Arctic sea bed. The clathrates are essentially frozen formations of methane combined with water. They tend to be rather unstable and sensitive to heating. In an Arctic ocean that is increasingly ice-free during the summer months, the water column can warm by as much as five degrees Celsius. This extra heating has the potential to destabilize clathrate formations. About 1400 gigatons of methane is stored in clathrates. This is roughly equal to the amount stored in permafrost worldwide. So this potential added forcing combines with methane and carbon releases from the Arctic tundra. Over the past four years, researchers have found a wealth of evidence pointing toward an amplified methane release in the Arctic. 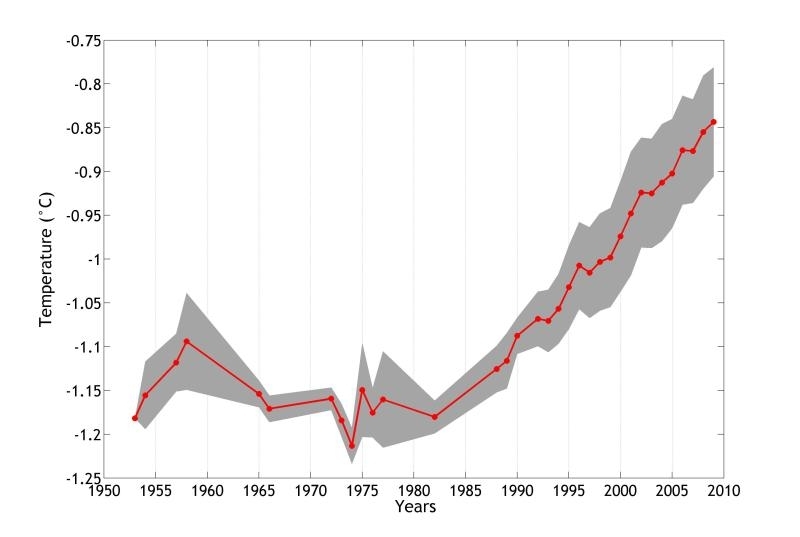 Atmospheric methane levels are on the rise. 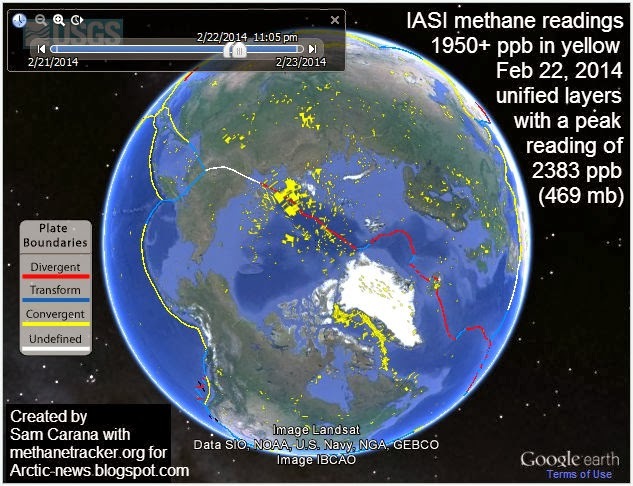 A proliferating number of methane emitting ponds have been found throughout the Arctic. 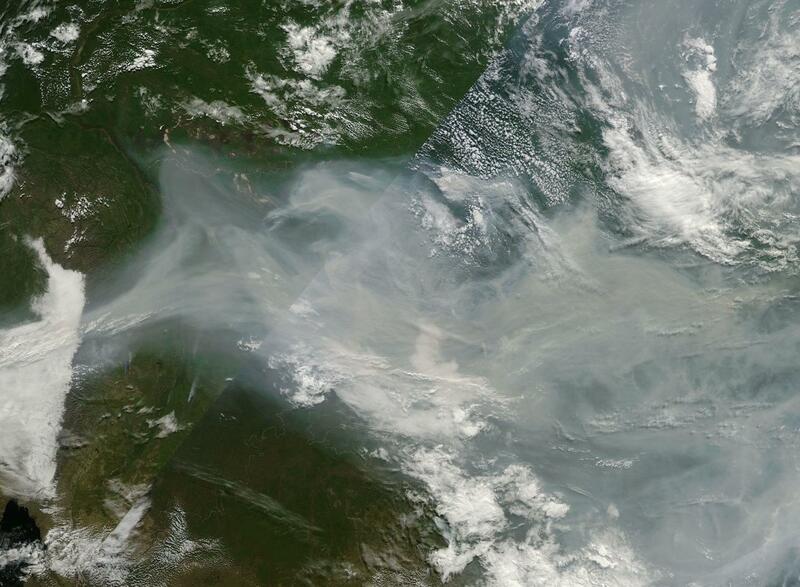 Large areas of ocean, especially in the East Siberian Sea, are emitting high volumes of methane. 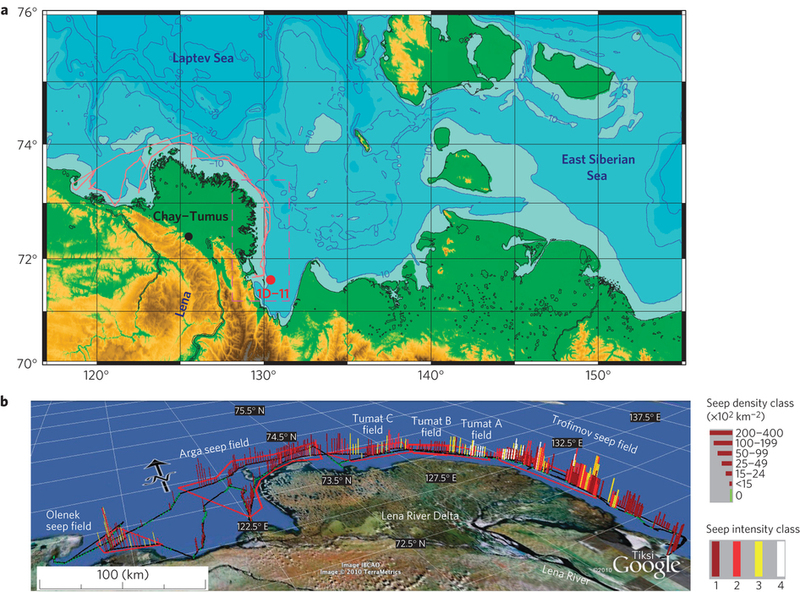 Underwater plumes of methane as large as one kilometer across have been discovered. And recent satellite research conducted by the University of Maryland shows that the amount of methane released from the Arctic is amplifying year-on-year. The Arctic amplification described above is likely to have another non-linear affect — increasing direct impacts to Greenland ice melt. Loss of sea ice substantially reduces a buffer surrounding Greenland. In the past, sea ice served to block the flow of warm air masses and to protect Greenland from pulses of heat coming from the south. This was clearly not the case this summer when a very warm air mass repeatedly formed over Greenland, drastically increasing melt there. Blocking patterns also have a tendency to park over Greenland, consistently funneling in warmer air from the south. Loss of permafrost and snow cover along with increased atmospheric methane create a witch’s brew of heat that could all result in a state-change in Greenland. It is important to consider that loss of sea ice, though an important and devastating loss, results in relatively moderate impacts to human society when compared with Greenland ice loss. Imagine, for a moment, the loss of fifty percent of Greenland ice in a few decades. The result would be an 11 foot sea level rise. Now there are no scientific models or observations saying this will happen. 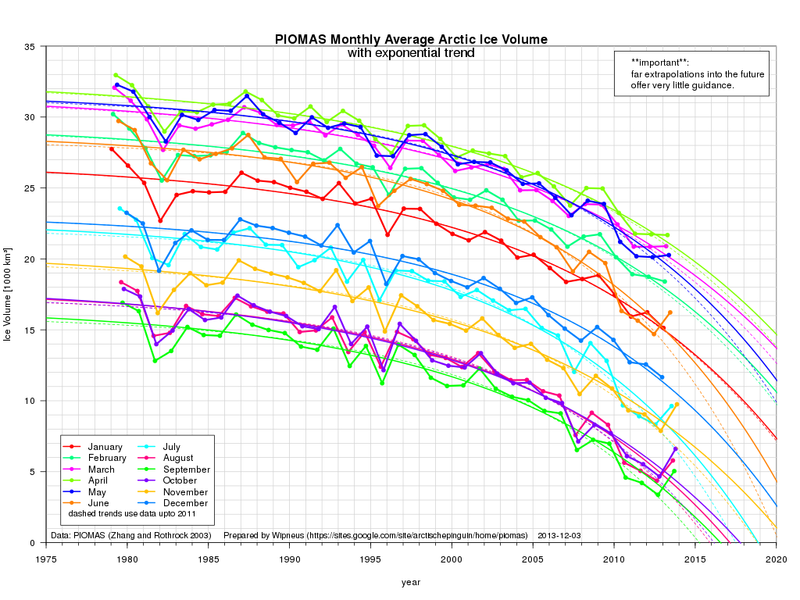 But there were no models that estimated sea ice loss would be this rapid either. And though the mile-high glaciers of Greenland aren’t as likely to suffer from the same widely varied set of forces affecting sea ice, they are certainly not impenetrable. The issue here is that the risk to Greenland is high and the impacts, should the worst risks bear out, are very high. It is worth re-emphasizing that after sea ice, should human greenhouse gas emissions not be vastly curtailed, Greenland will be the next domino to fall. And when it does, it will be almost impossible for the world to ignore. The net effect of all these changes: Arctic sea ice melt, permafrost melt, methane release, and Greenland melt is that the cooling mechanism of the Arctic is being transformed into a warming mechanism. As we added greenhouse gasses to the atmosphere we relied on these cooling mechanisms to help maintain a stable climate and to prevent the worst impacts of human greenhouse gas heating. Now, these mechanisms have been forced by human climate change to a new a phase. A phase where they increasingly add to the problem, resulting in a powerful amplifying feedback, that will be more and more difficult to reign in should we continue to fail to respond.